Day 4/5 Physiology: Demonstrate the how the anaerobic energy system provides energy to fuel our muscles when we exercise at high intensities. Check out the links at the end of this post for the full experiment details! Humans are capable of performing amazing feats. Sprinters run down the track with astonishing power and speed; power lifters make hundreds of pounds look like a sack of potatoes; swimmers traverse an entire lake or channel against currents and waves; hurdlers gracefully clear all obstacles in their way; and some basketball players even seem to defy the laws of gravity. 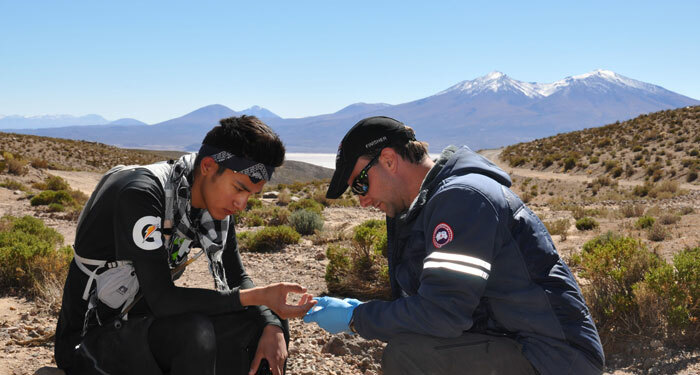 And our Youth Ambassadors run across the Altiplano in Bolivia. All of these activities depend on our muscles. Muscles are incredible structures. They have the ability to change themselves to meet the demands that you impose on them. In order to generate movement muscles have to contract. And to do this they need energy. Lots of energy. Some of our muscle fibers break down sugars like glucose for energy, and they don’t need oxygen to produce energy, hence the reason why they are sometimes called anaerobic, which means “without oxygen”. These fibers are used for short sprints and other high intensity activities. Today I asked the Youth Ambassadors to run up a steep stretch of road at almost 4000 m elevation. This was incredibly tough and they did a great job pushing themselves to the max. Check out the video below! We took blood samples before and after they ran up the hill. Below is a picture of me taking a sample from Brandon Sand. 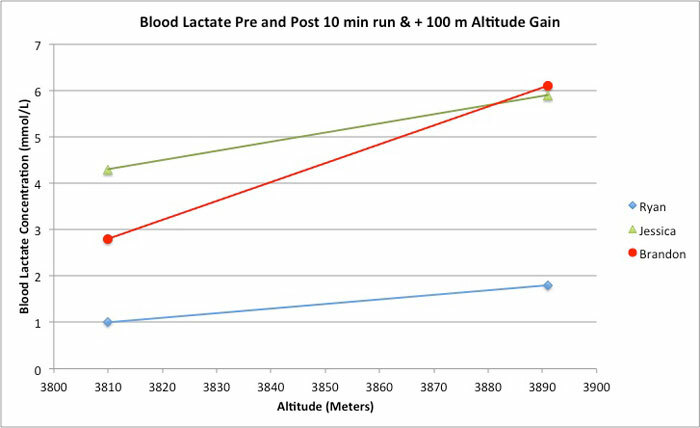 You can also see the results of the blood lactate testing. A complex series of metabolic pathways are present in human muscles that break down food to produce energy for different types of muscular activity. Dr. Greg Wells will perform experiments to highlight how our bodies work in high altitude and during long distance endurance running.